The Problem: The USDA estimates that 27 percent of all food produced in the United States never makes it to the dinner table, yet thousands of people across North Dakota and western Minnesota struggle with hunger. The Solution: Food industry donors team up with the Great Plains Food Bank to get their surplus food to those who need it. Because of the commitment of more than 200 socially responsible food industry partners, we are able to distribute food for more than 12.5 million meals annually. 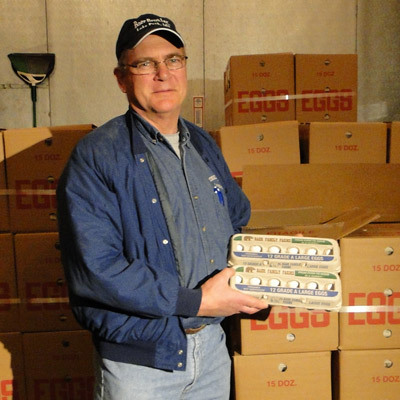 Food industry donors are critical to our distribution efforts. This group of industry leaders consisting of growers, processors, manufacturers, distributors, wholesalers and retailers supplies us with 84% of the product we distribute each year. Community food drives, purchased product and government contracts make up the difference. The Result: This valuable partnership with the food industry ensures that the Great Plains Food Bank is able to deliver food to the dinner tables of families in need.